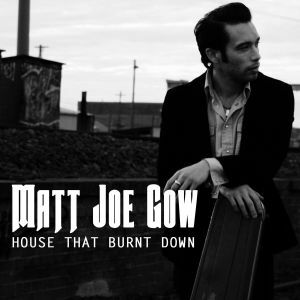 Expatriate New Zealand singer-songwriter Matt Joe Gow doesn't have to look too far when he makes videos for his narrative songs. Gow has a vast cast of fellow musicians and singers including Kiewa Valley born Gretta Ziller, Katya Harrop and bluegrass duo The Weeping Willows who play on his albums. Matt Joe filmed Ride On - first single from his third album Break, Rattle & Roll - at Melbourne University with director Joanna Strong. The song, like several others, stems from his train travels and observation of fellow travellers. “There's references to trains on my previous records, it's hard not to use them,” Gow, 40, explained of Ride On that debuts on Nu Country TV on Saturday October 13. That diversity includes headwear of the Weeping Willows Highett suburban neighbour and veteran Dead Livers pedal steel guitarist Brendan Mitchell who chose a cowboy hat and baseball cap - for the Ride On video. But Mitchell's hat soon became a boomerang when he tried to give it away to fellow cast members. “She give you 69 reasons with a kiss on the cheek/ lost your head but you're a gamblin' man/ but now the fever's long gone/ and the sun's coming up/ hitch a ride or have a change of plan/ if you ain't got nothing you ain't got nothing to lose/ let loose tonight if the money's tight.” - Gamblin' Man - Matt Joe Gow-Andrew Pollock. Director Regan Wood filmed the video for his next single Gamblin' Man video in September at Bakehouse Studios in Richmond . “Gamblin' Man is a tongue in cheek homage with analogies like ‘if you ain't got nothing you ain't got nothing to lose,'” Gow revealed of a song that shared a lyric with a 1982 hit by Octogenarian Bobby Bare. The singer produced his album with his long time guitarist Andrew Pollock at The Aviary and Leafy Green studios in Melbourne. He also wrote Gamblin' Man and Sun Will Set with Pollock. Gow emulates Bare's fellow Octogenarian Willie Nelson and North Carolina nouveau outlaw Luke Combs with frequent videos to market his eclectic music to an international audience. “I watched you hunt for things that you can take apart/ out here with the truckers, kickers, crooked hearts/ but I'll stand here and tear it down just to rebuild in blood/ ain't that true/ though you feel like home/ break, rattle and roll.” - Break, Rattle And Roll - Matt Joe Gow. 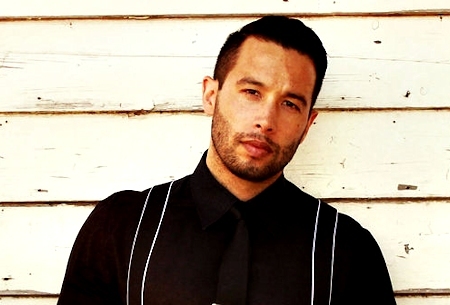 Gow enlisted his sister to direct the video for his album title track he is promoting on an Australasian tour that includes his birthplace Dunedin on the south island of New Zealand . “My sister Cat Jean is filming the video for Break, Rattle And Roll in New Zealand ,” Gow added. Gow exploits wry word play in ruptured romance in Break, Rattle And Roll . “I liked the rattle and roll on the record but I was not really capturing the heartbreak so I added that,” Gow said. Gow has long drawn upon his musical family for creative inspiration. Parents Paul and Maria enrolled him in classical piano lessons at the age of five before switching to guitar at 13 as they exposed him to music throughout the world in their diverse academic postings. Septuagenarian Pharmaceutical professor Paul still sings in New Zealand choirs and his late grandfather Jim inspired biblical ballad Georgia Rose on his second album Seven Years. “Yes, my family have had a big influence on my music dating back to their vinyl records and exposure to diverse cultures in their overseas postings,” Gow explained. Those influences have a long incubation and emerged on previous EPs released in Canada and England . “I left home straight after university after studying philosophy,” Gow recalled. “There's an old hotel room we stayed in '05/ I just went past in my car, I remember your smile/ there's no lights on, it's kinda come downhill from what I see/ but it's been so many years I'm sure you changed as well/ I'm down on my knees, keys in my hands/ it's four in the morning and I'm just driving round/ if it's gonna rain then rain, don't waste my time with grey/ it's just like those promises of things that'll never be/ and I'm just driving round to that old hotel room.” - Old Hotel Room - Matt Joe Gow. Gow has plenty of fertile fodder for more videos in his new songs. “Down the road we'll look at videos for Old Hotel Room and Sun Will Set ,” predicted Gow who has plenty of images in those songs to work with. But the character in Old Hotel Room who is down on his knees with his keys in hand at 4 in the morning is not a direct descendant of the male lead in the late Faron Young's historic hit It's Four In The Morning. Louisiana born singing actor Faron, known as The Singing Sheriff , died at 64 in 1996 - 25 years after his 1971 album title track was a huge international hit. “The character's driving around at four in the morning, I just wanted that desolate sound,” Gow explained. “We don't even have any reverb on that track. It's just me and my guitar. I wanted to get the vocal lyrically sparse. The song changes in the second half and becomes really lush. Gow says his album's upbeat Americana entrée is balanced by melancholia later in the disc. “At the start of the record of the record it's pretty upbeat with Bridge Over Concrete ,” Gow explained. 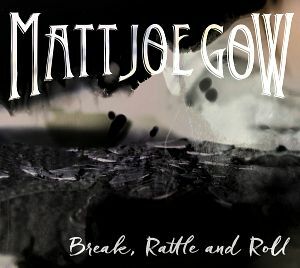 Gow releases Break, Rattle And Roll on October 5 on Checked Label Services .